It’s been all about the sweets lately. 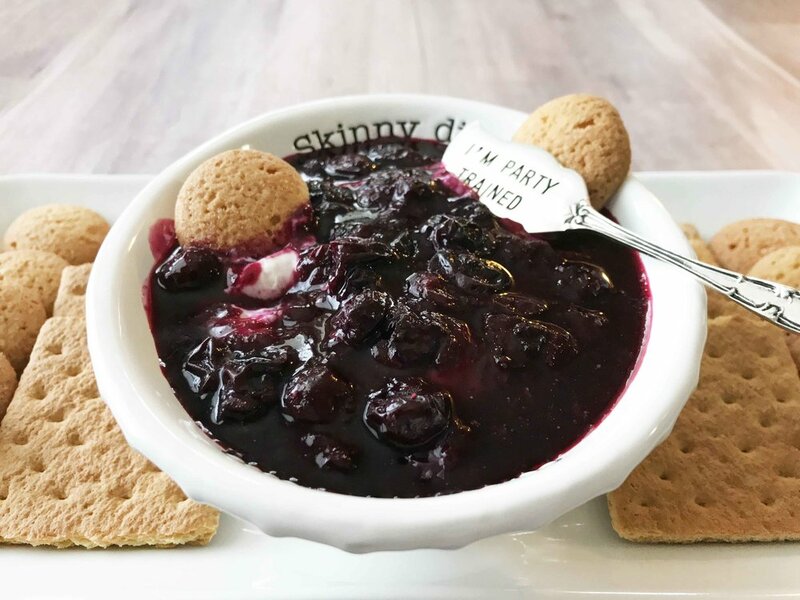 And this Skinny Blueberry Cheesecake Dip takes the cake. The cheesecake that is. No bake cheesecakes in just about any form are always a hit with me. I think cheesecake in general has to be one of my favorite things. Cheesecake can be scary to make. They break, they fall, they’re a hassle. Welp! This cheesecake dip is anything but a hassle. Quick and easy to make, this lightened up cheesecake dip is ‘lick the dish clean’ good. It’s just sweet enough with the twang from the cream cheese and the fluff of the cream. 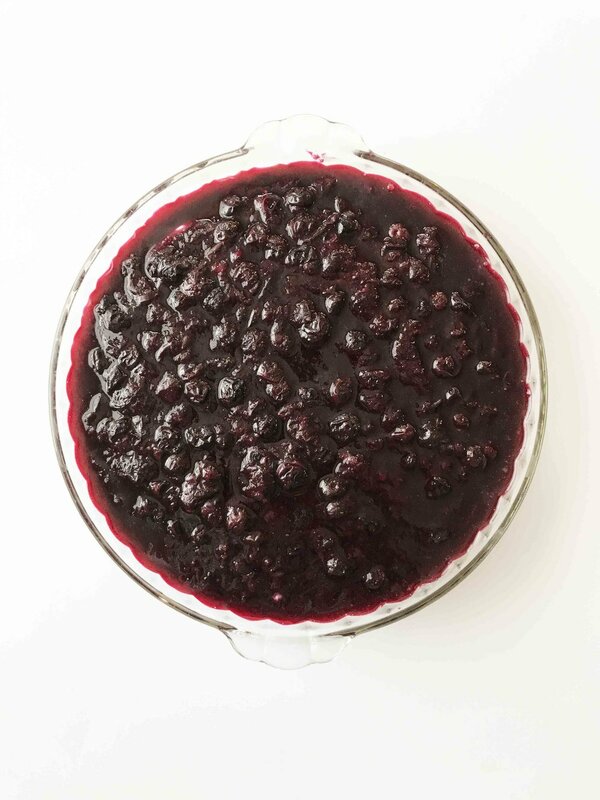 All the way to the drippy gooey blueberry sauce that is out-of-this-world good. This is definitely a perfect sweet treat for any party, get-together, or even a pot luck sort of situation. And trust me when I say that it will go fast! I like to serve mine with vanilla cookies and/or some graham crackers, but any sort of cookie, cracker, or fresh fruit would go well with this dip for scooping, dipping, dunking, etc. No Bake Cheeseake dip that will knock your socks off! It's quick and easy to make. Delicious! And no one will ever guess that it's better-for-you. Place the 4 C. blueberries, 2 Tbsp. natural sweetener, 2 Tbsp. sugar, and 2 Tbsp. water into a large pot over a medium heat. Bring it all to a simmer. While the blueberry mixture is cooling, place the 1 C. heavy cream into the base of a stand mixer and beat until stiff peaks form. Set aside. Beat together the 16 Oz. cream cheese, 1/2 C. confectioners’ sugar substitute, 1/2 C. confectioners’ sugar, and 1 Tbsp. vanilla extract until smooth and creamy. Fold in the whipped heavy cream to the cream cheese mixture. Spread the ‘cheesecake’ into the bottom of a serving dish and top with the blueberry mixture. Place in the fridge to chill for at least one hour. Once done, remove from the fridge and serve with your choice of scoopables!